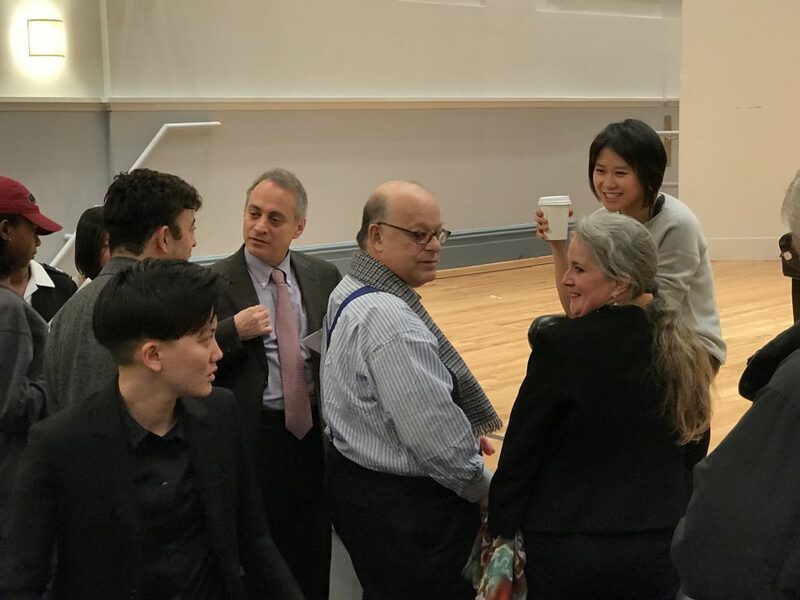 Sponsored by the A. L. and Jennie L. Luria Foundation, the master class was held in a packed-to-capacity Greenfield Hall. 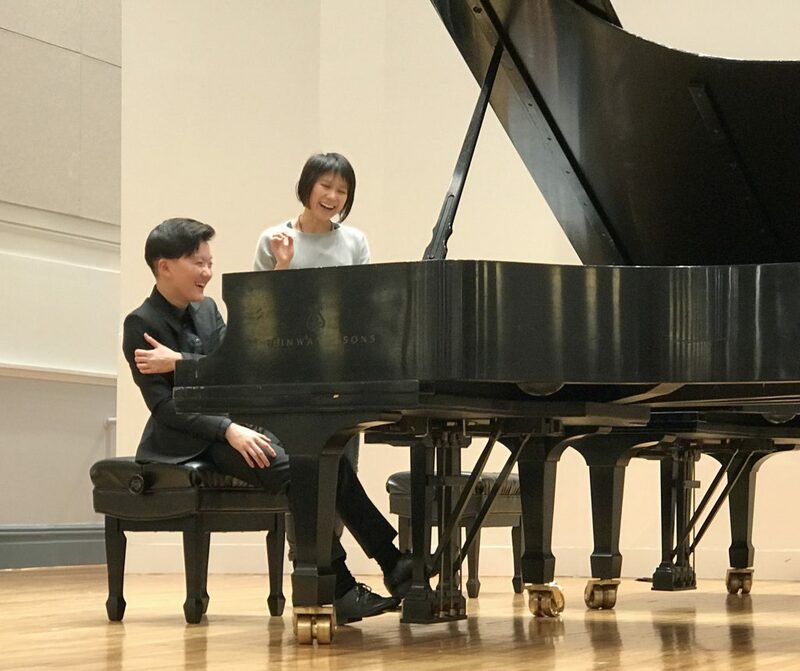 Ms. Wang, flanked by MSM piano faculty in the front row, initially told the audience she would not play, but as the need arose, she could not help rising to her high-heeled feet, and to the stage and piano, to demonstrate. For the first student, she stressed that the player always has to have their own intent, and to know where the music is going. And the audience must hear the melody, no matter how lush the surrounding voices. A pop quiz on use of the sostenuto pedal as a way to solve one technical problem seemed to catch the student unprepared; but in general, the students were all remarkably adept in varying their technique in response to Ms. Wang’s coaching. “Taking time” from her chat with piano faculty to acknowledge the audience favorite (student). If you are interested in more master classes in New York, or if you know about one that we should list on pianyc, please drop a line. © 2017 Victor Levy and pianyc.net. Unauthorized use and/or duplication of this material without express and written permission from this site's author and/or owner is strictly prohibited. Excerpts and links may be used, provided that full and clear credit is given to pianyc.net, with appropriate and specific direction to the original content.